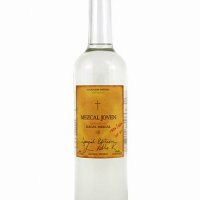 SilverCoin Tequila Silver is 100% Blue Agave from the Highlands of Jalisco, and unlike almost all other Tequilas on the market, it is distilled to proof. SilverCoin Tequila stops the distillation at 80 proof, leaving more Agave sweetness in the final product. This, combined with thirty days of aging in oak whiskey barrels, gives SilverCoin a smooth richness while still allowing the bright agave flavors of a classic silver tequila to shine through. As a Highlands tequila connoisseur, the smooth velvety taste of SilverCoin has made it to the top of my rating list. If your in for a delightful tequila experience I highly recommend it! The first aroma that hit me was incredibly well balanced in the front, with a hint of vanilla. There is absolutely nothing harsh in the bouquet of this tequila. It is exquisitely rounded from beginning to finish. A slight or faint trace of pepper excites the palate at the end. This is not to be confused with a finish that burns, that does not exist. 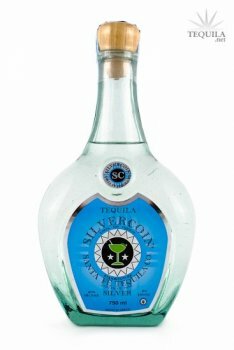 The viscosity of this tequila is truly unique and not until further investigation did I discover that this may be the only tequila in the world that is double distilled to proof. I agree with the previous post I read on SilverCoin that it is aggressively priced here as well at $34.99. However I disagree with the rating on presentation, the bottle is magnificent in it's simplicity and makes a great olive oil bottle. However, I have one criticism, the corks can easily disengage from the bottle. So here's to you SilverCoin, outstanding new tequila to hit the market! What I expect from a premium tequila hailing from Los Altos. Mildly sweet, very round, and quite smooth. Very clean. Bright and warm. Wonderful nose! Citrus and strong agave on the nose. Medium body and wonderful balance! Mid palette, bit of vanilla. Mild smokiness. Lovely pepper finish. Overall, the defining trait of this batch is its smoothness. Aggressively priced, at least here in ABQ. Found a bottle for 25.99 at Costco. I let it breathe for about 30 minutes and served it room temp. Only thing I can mark down this is the label. Pretty bottle, though.